Hello friends from all around the world! 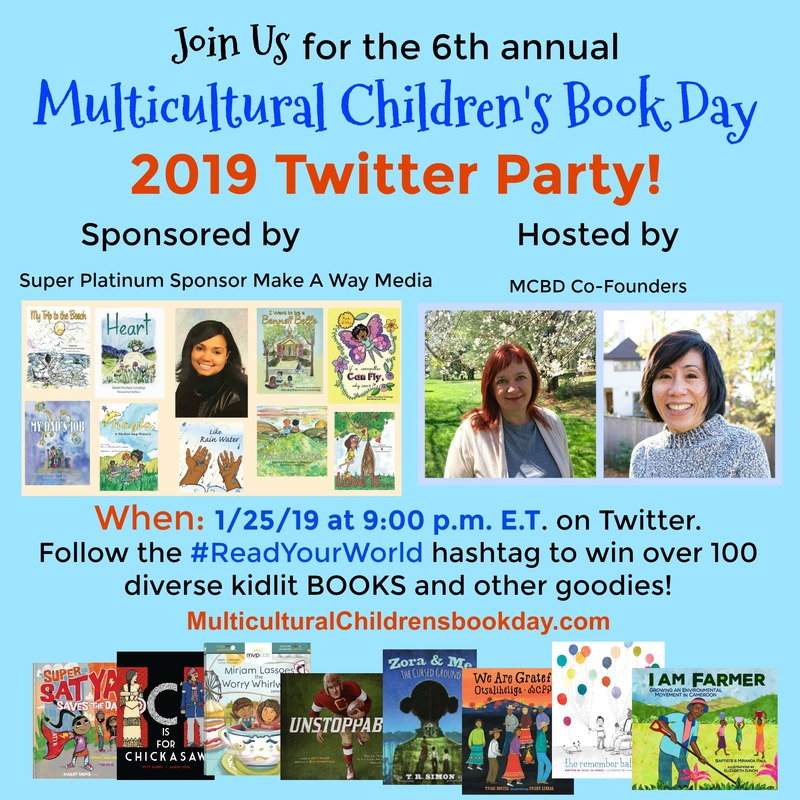 I am so excited to share a special book with you about welcoming new students at your school for Multicultural Children's Book Day (MCBD) 2019! 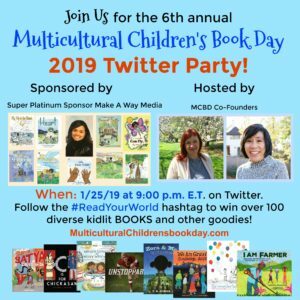 MCBD, a non-profit organization, began six years ago by two kind ladies who love reading and sharing the world with others. Together, they created a day that celebrated books from around the world for kids, families and teachers. Now, their national event helps spread awareness for of different cultures and people across the globe. Talk about some amazing stuff! Books are a great way to learn about the world and how other people live. Through reading we can discover much about ourselves, others and connect with each other. Before we start, I have some important questions to ask you. Have you ever been to a new school? Have you ever had a new student in your class? Have you ever had to leave your home suddenly and live in a new city or country? Have you ever lost your home like my friend Tipah did in my new book? Well, if you have, you are definitely not alone. There are several kids and animals around the world that have had to leave their homes suddenly and start a new life somewhere new. It can be scary, sad, and stressful. But the book I am reviewing called Someone New, shares how it can also end up being a good thing too. Someone New, written and illustrated by Anne Sibley O'Brien and published by Charlesbridge, is a story about three different kids from around the world that had to leave their homes to go to a new school. Maria is from Guatemala, a small country south of Mexico in Central America. Jin is from Korea, a country that I have shared about before, that is next to Japan and located on the easternmost part of the continent of Asia. Fatimah is a new student from Somalia, the easternmost country of Africa, on the Horn of Africa. All three students are very nervous to be in a new country and school, as they have no friends and have to speak a new language. That is definitely not easy! But the great thing I love about this book is that we get to learn what the current students feel when the new students arrive. The current students are curious and want to learn more about the new kids. They want to make friends with the new kids, but they see that they are nervous, quiet and frustrated, so they aren't quite sure how to approach them. Have you felt that way before when meeting a new student? In my story, I have to learn to show compassion to the new animals in our forest and by showing respect, kindness and listening to their story. Then, I could feel what the new animals where feeling and better understand them. It also helped me put myself in their place and see why they were acting the way they were. That is power of compassion my friends and the current students in this book do the same thing! At first, they feel uncomfortable and don't know how to help or interact with the new students. But when the students start talking and giving each other a chance, they start to really enjoy each other's company and find that they have a lot in common. One of the girls named Emma loves art and notices that new student Fatimah does too. Fatimah is just learning English and can't speak much, but when Emma, shows some kindness and gives her a drawing she made for her, it really brings happiness to Fatimah. Fatimah then shares how she is a refugee and had to leave her home because others were trying to hurt her family and take her home. Emma feels bad for her and they talk about it while drawing out their feelings. As they become friends, Fatimah's drawings become happier and they learn more about each other. So by showing some compassion and care and being patient, the kids all became friends and welcome the new students. Isn't that wonderful?! I hope more and more kids can read this book and learn how to act with compassion when they meet a new student, because almost all of you have or will. For a brief glimpse at what someone new might have gone through to get to you, check out the video below. Maybe one of your questions will be asked and answered in it. If you would like to read this book, you can check it out on Amazon with your parents. I really loved the colorful illustrations and hope you get to read it as well. Well, thanks for joining me for this special book review for MCBD! Have a great day/night wherever you are in our amazing planet!